Ph.D. Electrical Engineering, New Jersey Institute of Technology, May, 2018. M.E. Computer Applications Technology, Hebei University of Engineering, June, 2011. B.E. Electronic Information, Hebei University of Engineering, July, 2008. Dr. Xiang Sun is currently an Assistant Professor with the Department of Electrical and Computer Engineering at the University of New Mexico. He received his Ph.D. degree in Electrical Engineering from New Jersey Institute of Technology (NIT) in 2018, and his M.E. and B.E. degrees both from Hebei University of Engineering in 2011 and 2008, respectively. His research interests include mobile edge computing, cloud computing, Internet of Things, wireless networks, big-data-driven networking, and green communications and computing. 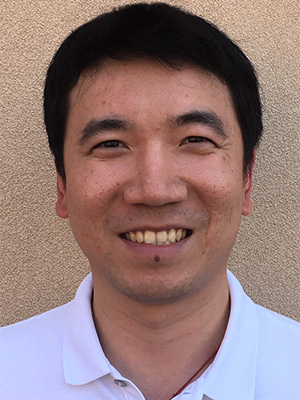 He has received several honors and awards, including NJIT Ross Fellowship 2014-2015, 2016 IEEE International Conference on Communications (ICC) Best Paper Award, 2017 IEEE Communications Letters Exemplary Reviewers Award, 2018 NJIT Hashimoto Price, and 2018 InterDigital Innovation Award on IoT Semantic Mashup.